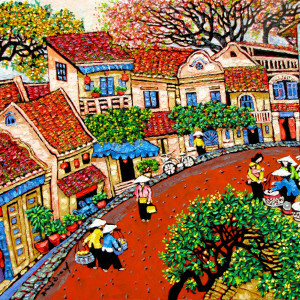 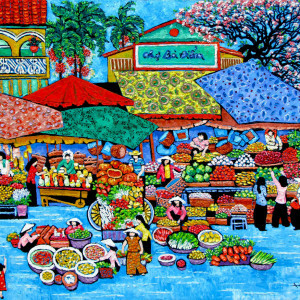 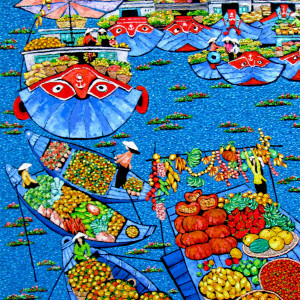 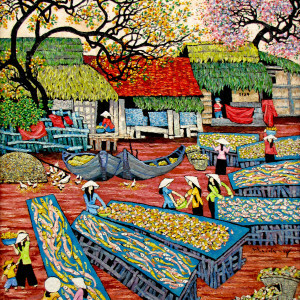 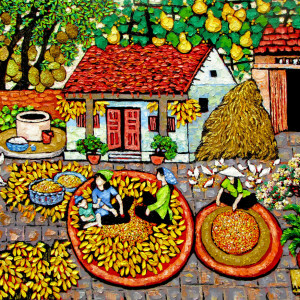 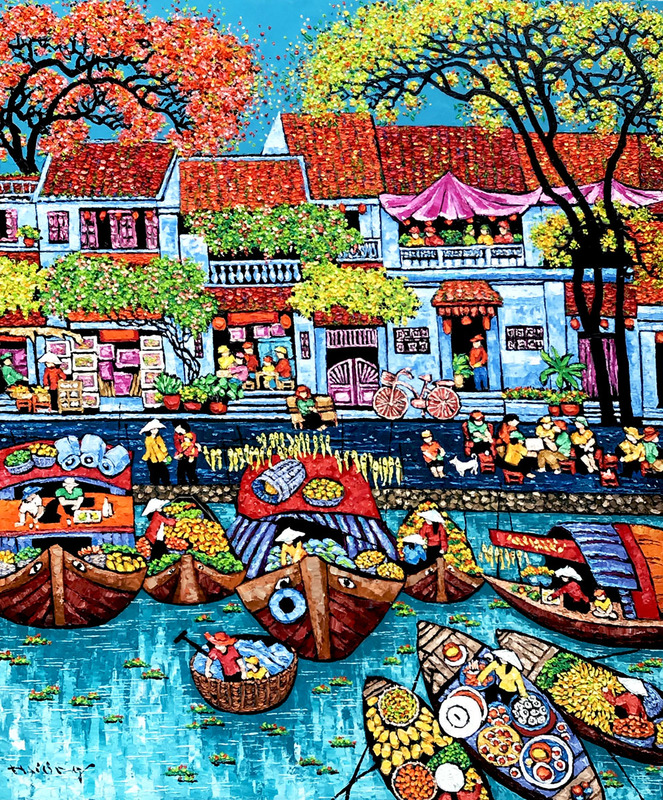 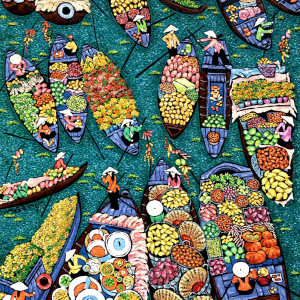 This is a colourful piece of landscape painting by contemporary Asian artist Tran Thu Huong depicting a floating market in Vietnam. 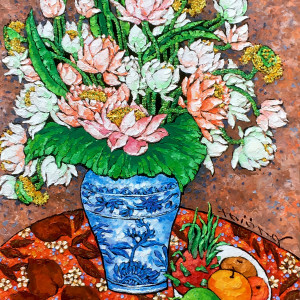 This painting bears all the traits of her signature style. 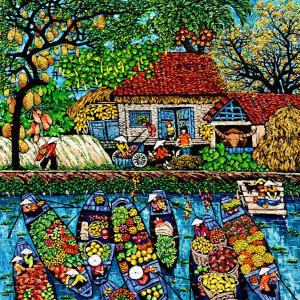 The minute details of the composition, like the variety of the activities of the people, the goods laden in the boats, the trees in blossom are very engrossing.